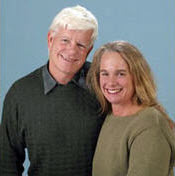 John chose to open his first office on Harmony Ridge – Hwy 20 at the gateway to both the Tahoe National Forest and Scotts Flat Lake. The award winning Harmony Ridge Market is a local general store market offering fresh sandwiches, baked goods, snacks and other refreshments for picnics and causal lunches. Just across Highway 20 is the historic Old 5 Mile House offering a wide range of Roadhouse Food from around the world. Built as a stagecoach stop in 1890, the Old 5 Mile House combines elegance and rustic for a causal fine dining experience. The Tahoe National Forest is one of the most popular recreation forests in the US year round. The Pioneer Trails (Upper and Lower) run parallel to Highway 20 and are favorites for hikers, mountain bikers and equestrian riders and offer spectacular views along the ridge. Numerous other trails connect with the Pioneer Trails and are easily accessible from Highway. In winter, trails through the Tahoe Forest offer outstanding winter cross-country skiing and tobogganing for advocates of all ages. In the summer, an extensive array of hiking, OHV, equestrian and mountain biking trails provide access to the many lakes, rivers, and mountain tops in the area. Developed recreation sites at Scotts Flat Lake include campgrounds, boat ramps, picnic areas and nature trails. Just 5 miles up from Nevada City, Harmony Ridge and the Tahoe Forest offer many great places to relax and play with family or enjoy the serenity on your own. 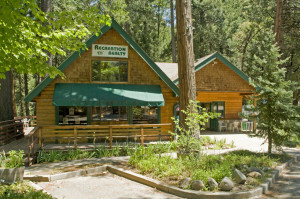 For more about recreation properties in the area around Scotts Flat Lake visit Recreation Properties.